A stimulating & paw-able long-lasting treat. Designed to make chewing a rewarding challenge, Milk-Bone® Wonder Bones® rock and wobble as your dog chews on these Paw Rockers, made with USA-raised chicken or beef. Healthy treats for dogs don’t have to be boring! Milk-Bone® Wonder Bones® low fat dog treats prove it. With real beef or chicken and no artificial flavors or meat by-product meal, these Paw Rockers™ bones are naturally delicious. And thanks to a unique, wobblin’ shape that dogs love to paw and play with, healthy treats for dogs are more entertaining for people, too. Rocks and wobbles to make chewing more like a game – with a super-tasty prize. Made with real USA-raised meat, no by-products or fake stuff. Extends your dog’s exuberance by stretching out treat time. Real beef or real chicken makes each treat lip-lickin’ good. Helps you dole out deliciousness in the right portion size for your pooch. A stimulating & paw‑able long‑lasting treat. A 100% rawhide free treat that provides a real chicken, long-lasting chew. 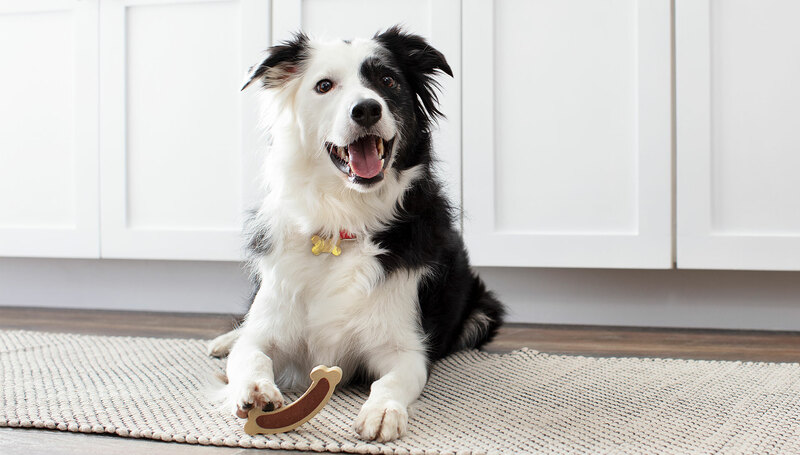 Make your dog’s treat time a playful time with the Milk-Bone Active® Toys.